We’ve reached the point of the year where we give thanks for everything we’ve received during the past 12 months. And we have a lot to be thankful for at Skyline Cruises this year. We love what we do. We love showing the incredible sights of New York City to our customers. We also love hosting events, celebrations, business meetings, charity events and weddings. Skyline loves our public dinner, lunch, or brunch cruises, where we serve gourmet food, entertain you with a DJ and dancing, and show you some of the most iconic sights in New York City. We’re very thankful to be operating in the greatest city in the world, and we want to share some iconic sights we’re thankful for. We’re wrapping up our 25th year at Skyline Cruises and as we mentioned, we’re the perfect venue for whatever you might be planning. Skyline hosts corporate events, birthdays, anniversaries, bar/bat mitzvahs, and spectacular weddings, many of which are presided over by our longtime friend Captain Arnold. 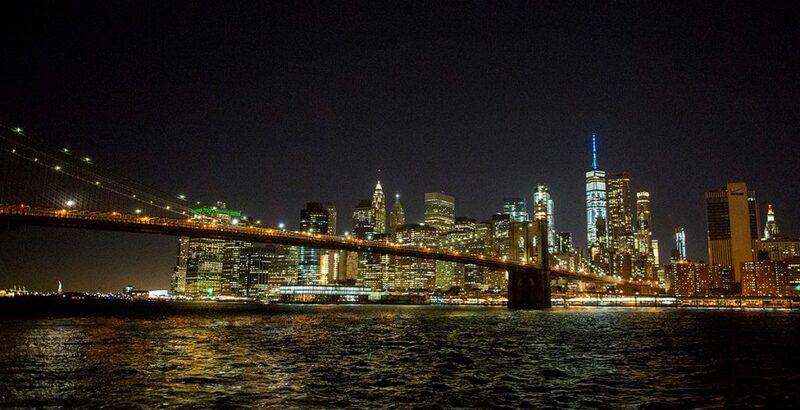 Skyline has it all, and we want to tell you what New York City has to offer. The Chrysler Building – This building, famous for its gleaming top, was completed in 1930. The Art Deco skyscraper is located on East 42nd Street. The top of the building features stainless chromium-nickel steel arches. Empire State Building – Maybe the most famous building in New York City and at one time, the tallest building in the world. There are two observation decks, one on the 86th floor and one on the 102nd floor. Completed in 1931, the Empire State Building has figured in a number of movies, most famously the 1933 version of King Kong. One World Trade Center – Currently tallest building in New York City at a symbolic, 1,776 feet, this structure occupies the former site of the Twin Towers of the World Trade Center. 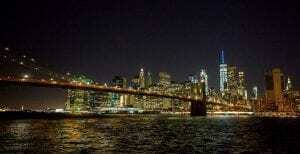 The Brooklyn Bridge – Opened in 1883, this architectural marvel has been designated as a national historic landmark. At the time of its opening, it was the tallest structure on the western hemisphere. The Robert F. Kennedy Triborough Bridge – Opened in 1936, this structure stitches Manhattan, Brooklyn, and the Bronx together. It’s actually made up of three bridges, a viaduct, and 14 miles of roads. Other bridges you will see on Skyline Cruises include the Ed Koch Queensboro Bridge, the Manhattan Bridge, and the Williamsburg Bridge. The Statue of Liberty – Lady Liberty was a gift from France and was dedicated in October of 1886. It was designed by Frederic Auguste Bartholdi. The torch has become a symbol of freedom throughout the world. Our 3-deck ship, the Skyline Princess will give you tremendous, up-close, views of the Statue of Liberty and they create the perfect backdrop for the event you’re planning. All of our public cruises leave from our home port at the World’s Fair Marina, but full ship charters can leave from several other ports, including New Jersey, Westchester, Connecticut, Manhattan, or elsewhere on Long Island. If you’re planning a smaller event, we can rent you a private deck or a table or two on our public dinner cruises. To get started, contact us today and talk to our event planners.